A bystander told the operator: "I watched it happen. Dude got shot point blank." 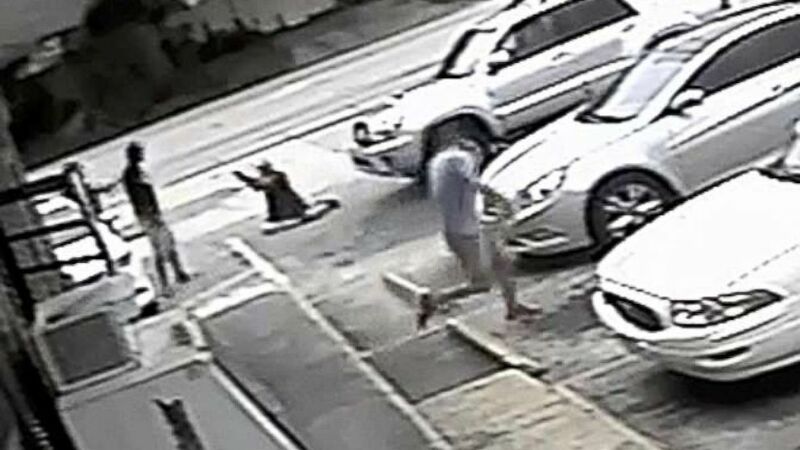 camera (Pinellas County Sheriff's Office via AP) In this Thursday, July 19, 2018 image taken from surveillance video released by the Pinellas County Sheriff's Office, Markeis McGlockton, far left, is shot by Michael Drejka during an altercation in the parking lot of a convenience store in Clearwater, Fla. "Baby!" The woman's two-syllable howl of terror and anguish cut through the line even before the 911 operator had begun to speak. He tried to ask where she was. She screamed, 'I need help now', 'I just need help', her words barely discernible below her hysterical sobbing. 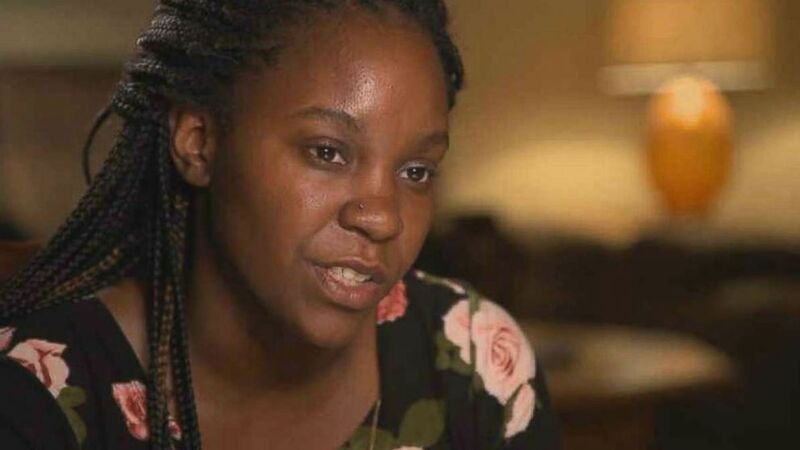 On July 19, after Britany Jacobs pleaded for 911 assistance while her boyfriend bled out next to her in the parking lot of a Florida convenience store, help did eventually come but it was too late. Markeis McGlockton was declared dead soon after. The audio recordings of her 911 call and that of a bystander were released by authorities on Thursday, three days after the man who shot McGlockton, Michael Drejka, was charged with manslaughter. (ABC News) Britany Jacobs, the girlfriend of Markeis McGlockton, wants "justice" for the shooting of her boyfriend. During his 911 call, the bystander told the operator he had seen the shooting occur in front of the store. "Yeah, I just watched it happen. Dude got shot point blank." Authorities had initially declined to arrest Drejka after the gunman invoked Florida's controversial "stand your ground" defense, saying his decision was bound by the law, sparking outrage and protests. On August 13, the state attorney for Pinellas County announced his decision to reject Drejka's claim of self-defense, file charges against him and have a warrant issued for his arrest. The encounter between McGlockton, 28, and Drejka, 48, occurred after McGlockton came out of a convenience store and saw Drejka berating Jacobs about parking in a handicap zone. Surveillance video showed McGlockton shoving Drejka to the ground and Drejka, who had a legal concealed weapons permit, pulling a handgun and shooting McGlockton. Florida is among the 27 states in the nation that have the Stand Your Ground statute, a controversial self-defense law that critics say allows gun-owners too much rein to shoot people while not really improving safety. The law first became a subject of heated debate after the shooting of teenager Trayvon Martin by 28-year-old George Zimmerman in 2012, which also took place in Florida. Prosecutors said Drejka has a history of threatening and pulling guns on people in road-rage incidents dating back to 2012. Editor's note: An earlier version of this story indicated that Drejka was berating another man. He was allegedly berating Jacobs.